80% of our fashion is made by women who are only 18 – 24 years old. Sadly, we only hear about them when tragedy strikes. Disasters such as Rana Plaza in Bangladesh in 2013 or the horrific fire at Ali Enterprises in Pakistan in 2012, are the tragedies through which we hear about the women who make our clothes. The hopes and dreams of the women behind our fashion are masked by heartbreaking headlines of the fast fashion industry. Made in China is the story of one vibrant young woman who makes our clothes. She doesn’t want our pity. She wants us to know her and think of her when we see the clothing label, “Made in China”. Made in China is the second installment of Remake’s Meet the Maker video series. 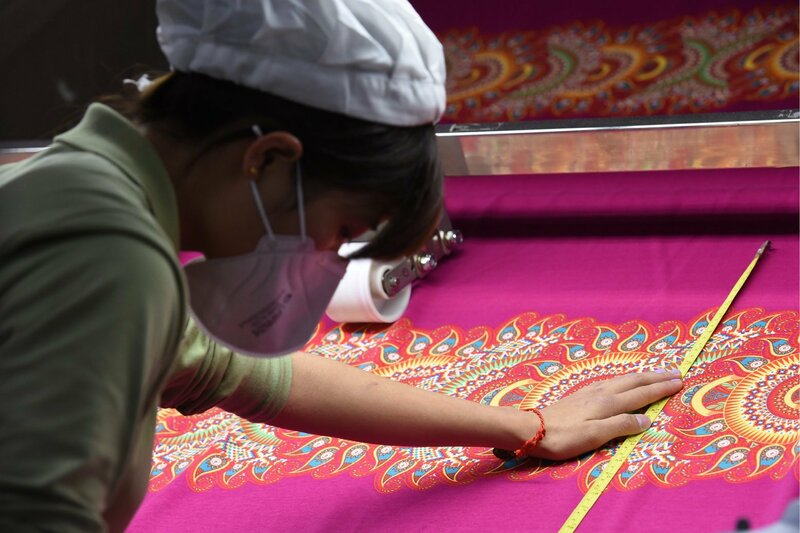 We visited fabric mills, factories, factory dormitories and homes throughout the world in search of the women who make up fashion’s supply chain. So far we’ve been to Haiti, India, Pakistan and China, to sit down, listen and learn about the triumphs and the heartaches of the women who make our clothes. For our first short, Made in Pakistan, we partnered with the Oscar winning duo, cinematographer Asad Faruqi and producer Haya Iqbal.